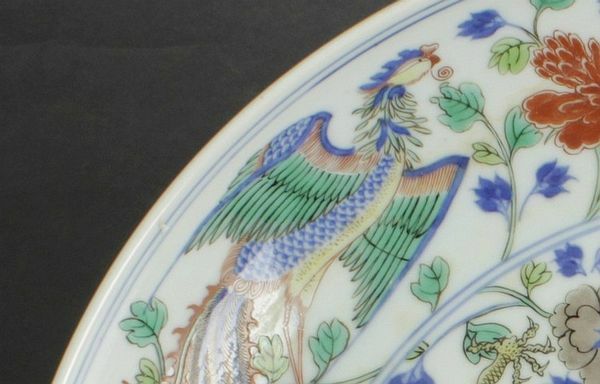 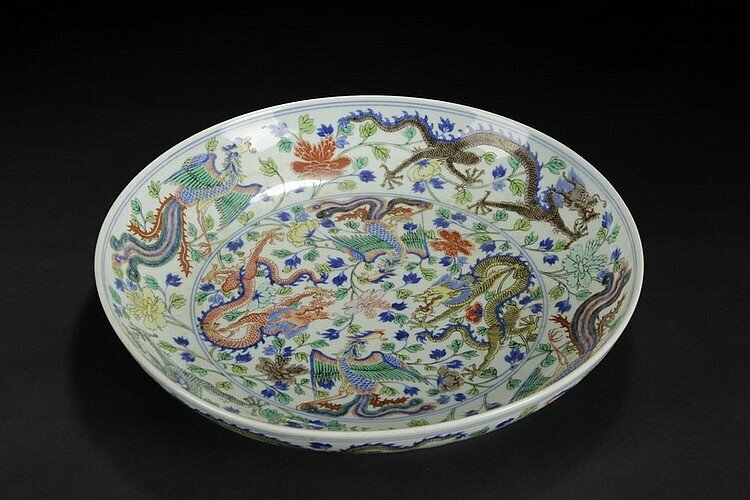 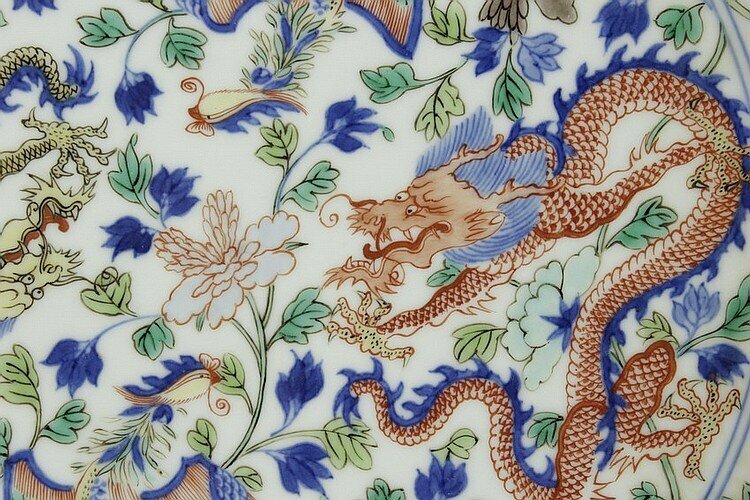 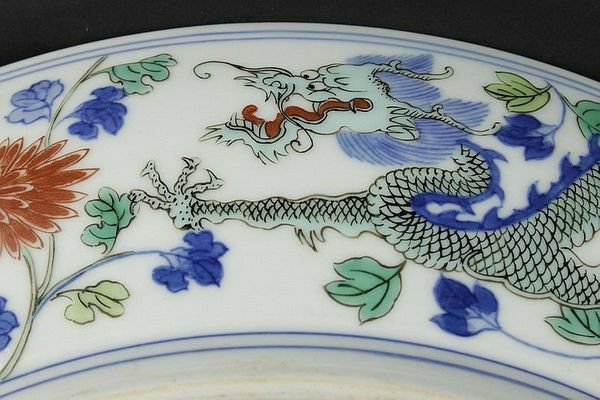 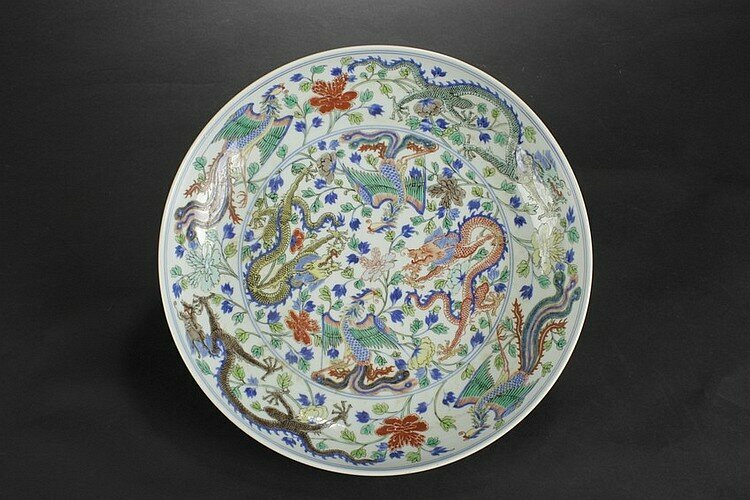 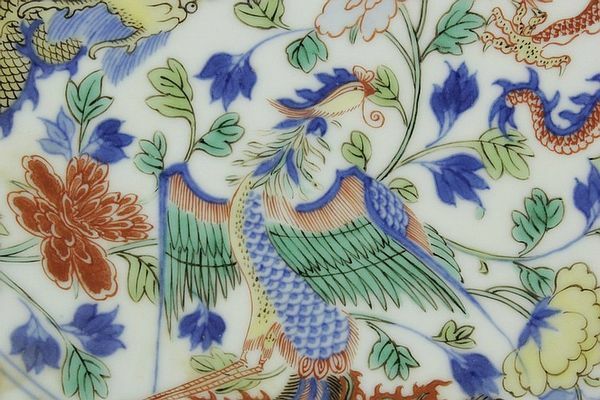 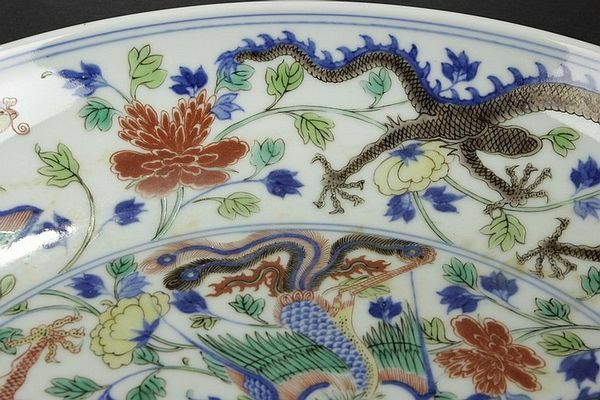 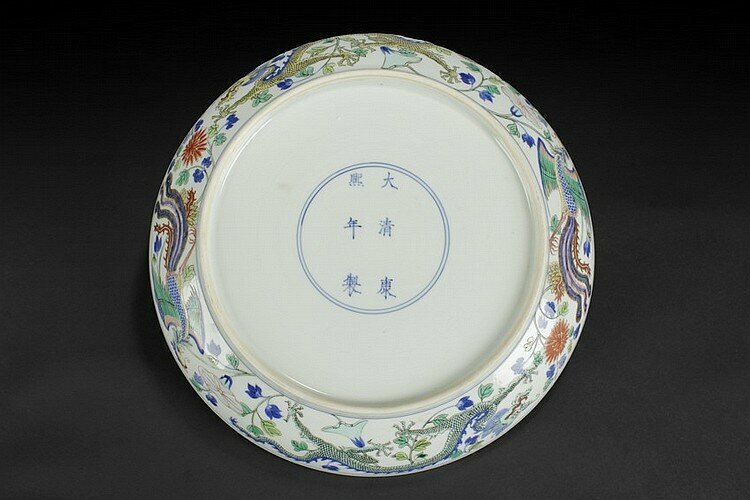 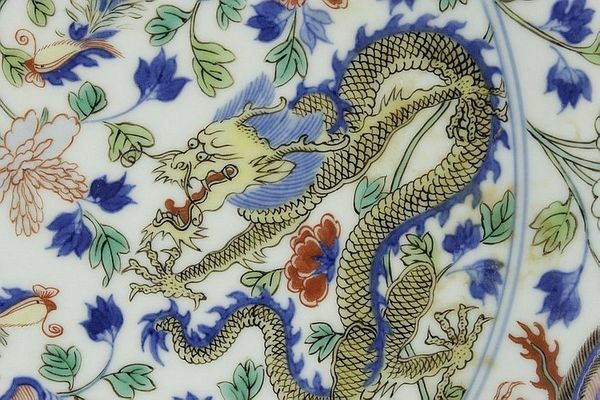 A Rare and Fine Large Doucai 'Dragons and Phoenix' Charger, Kangxi six-character mark and of the period. 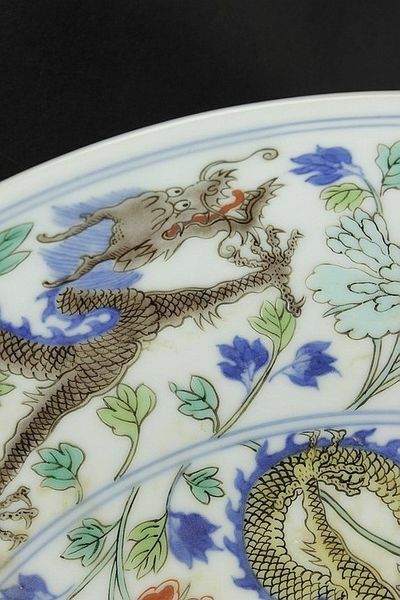 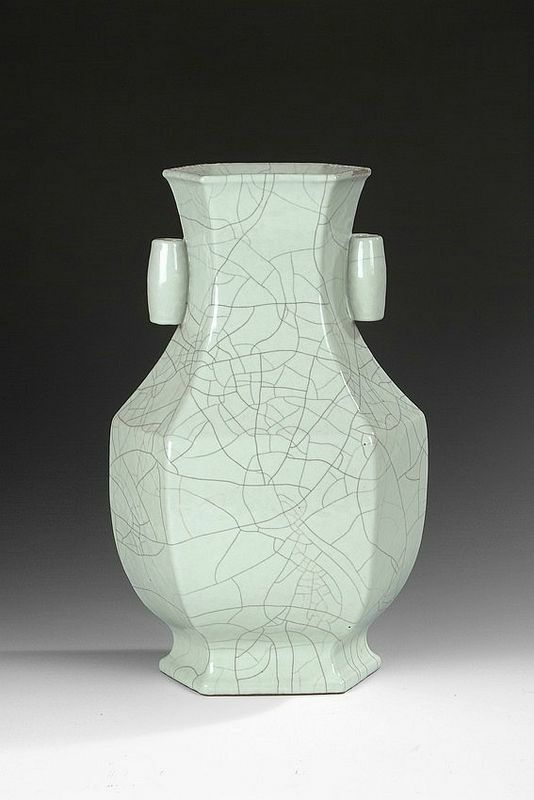 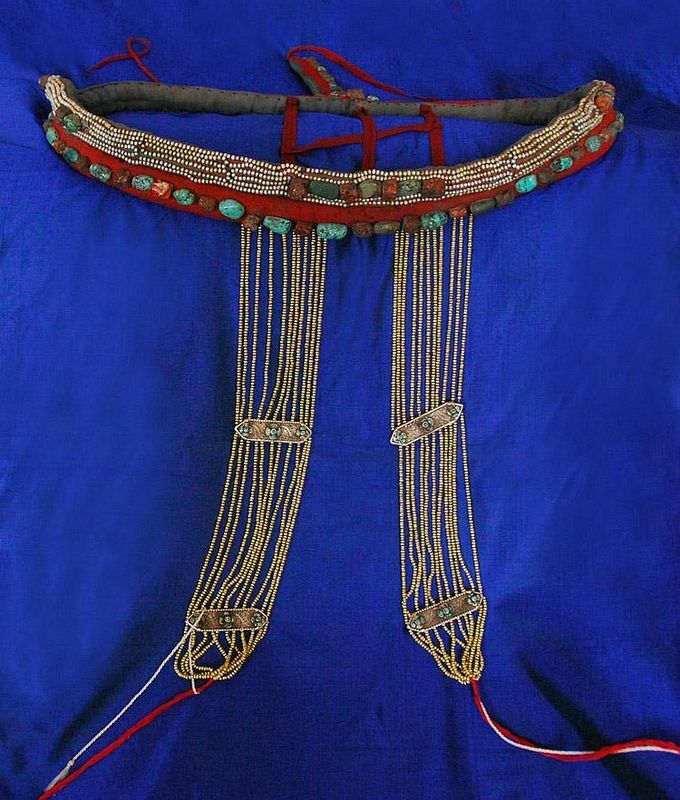 Photo courtesy California Asian Art Auction Gallery. Provenance: Sold by Hong Kong antique store to Taiwanese collector Mr. Chai in 1962, and Taiwan Kaohsiung collector Mr. Chen purchased from antique store Chaoshoulou from 1982 to now.